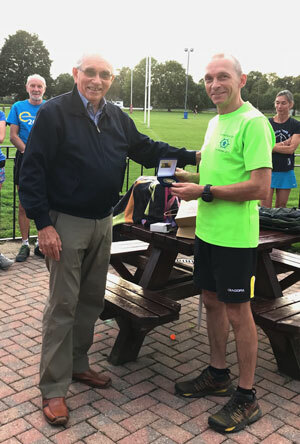 On 11th September Roy Hollingworth from the Evening League visited the rugby club to present Ripon Runners with the awards from this year’s series. 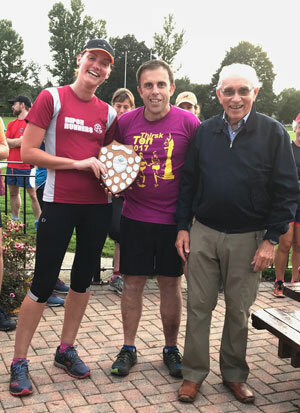 Alex Fawcett and Lenny Lennox both won their age categories and Club Captains, Andy Purll and Kelly Dunkley, received the team runners up prize on behalf of the club. At our recent AGM in March, and as we have done for the last few years, club members nominated local charities and then voted on which three charities the club should make a donation of £750.00 to (£250 each). Despite living within an affluent area of the UK there is a continuing need to support local charities, all of which have specific causes, and as a local club we wish to play our part in trying to make a difference to other peoples lives within our community. 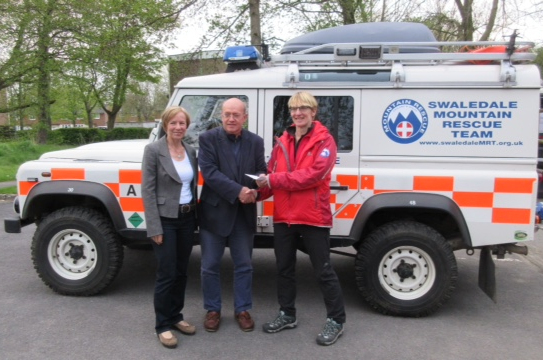 As you can see from the three photographs – this year we have donated to Ripon Food Bank, Yorkshire Air Ambulance, and The Swaledale Mountain Rescue Team. Sadly Ripon Food Bank is a well utilised facility, controlled and operated via specific regulations to help those of our community most in need. The Yorkshire Air Ambulance strives to help everyone throughout Yorkshire and because many of our members take part in Dales based trail running events we recognise the important work of The Swaledale Mountain Rescue Team. They support everyone who enjoys activities in the Dales and who may, unfortunately, find themselves in difficulty and in need of assistance. As a running club we encourage all our members and prospective members to enjoy being fit, active and healthy, to make new friendships. As a club we are very inclusive with many different ranges of abilities so there is always a group for everyone to run with. This gives individuals the opportunity to progress and improve their running without any pressure. We also have close links with other sporting clubs in the Ripon area. We normally organise two races each year, the Jolly Hog Jog 10k (late December) and the Ripon 10 (mid May). However, this year we are resurrecting, with the kind assistance of the local community in Masham, the very scenic Burn Valley Half Marathon, after a five year gap! These races attract members from many other running clubs as well as non club members. In addition we are very lucky in being able to work with the National Trust so that the Jolly Hog and Ripon 10 routes are within the Studley Deer Park. 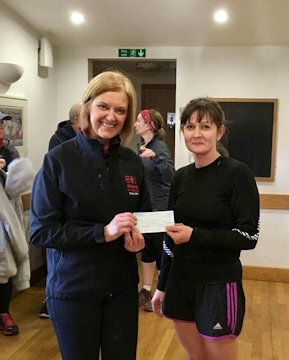 We also have strong links with our local Park Run at Fountains Abbey and as a club we adopt the Park Run to organise the running of it three times per year as well as providing support throughout the year. In other ways we promote running for the young, having a vibrant and enthusiastic Junior section of over 60 children aged between 7 to 16 who all take part in a wide variety of Junior running events both within and outside of Yorkshire. One of our principal aims of our Junior section is to give children from all backgrounds an opportunity to enjoy running within a very supportive environment. We bring together children from many parts of our local area, and different schools, so they make new friends and share positive experiences. As always we are looking at how we can further help our local community through running and to build upon the strong local links that we have established already. Please do not hesitate to contact me if you would like more information on what we do. Well what a year and a bit it has proved to be since I was elected as your Chair in March 2016. The role of being your Chair is both a privilege and an important responsibility, in that, I am very mindful that some of the key duties of my role is to represent our club, to help plan our future direction and ambitions and to encourage all our members to participate in as many club activities as possible. 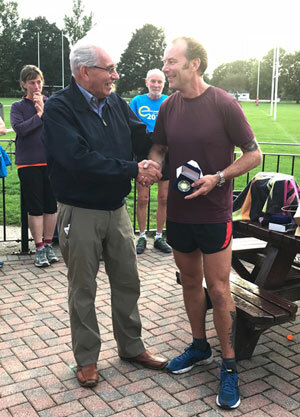 Although there are many good reasons for being the Chair one of the enjoyable aspects is seeing and following all the achievements that club members get up to through participating in a very wide range of running activities. Individual performances showing much grit and sheer determination are what makes us all, as runners, keen to see what we can achieve and improve upon. However some of the events where club members have been successful is also down to team work in either supporting an individual (Alex Fawcett on the Bob Graham Round); James Boddy and Suzanne Rickard leading our respective Knaresborough Bed Race teams or the wonderful organisation and encouragement from Andy P/Kelly/Gary W for the Harrogate Evening League which has seen a high level of participation from club members. What club members have clearly demonstrated to me during the last few years is that what once seemed the abnormal in completing various events is now seen as ‘normal’ – these achievements are not by accident as the approach by members is always to train well and prepare properly. What about the future of the club? The future looks good if we aim for realistic expectations, continue to have the means to invest and develop in our thriving Junior Section and encourage current and new members, through offering a variety of running and social activities. 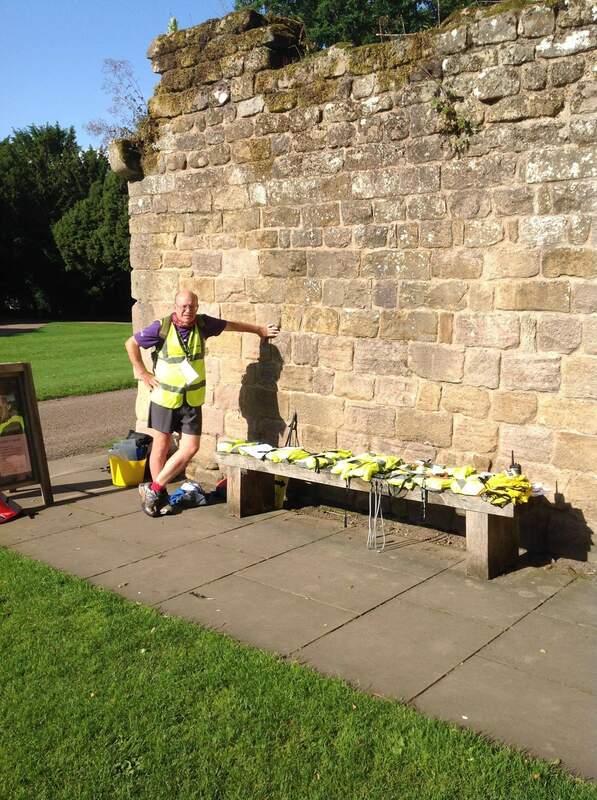 There is a running and exercise boom going on and our local Park Run at Fountains Abbey is very successful in attracting large numbers of folk every week and in turn we have gained new members through our links to Park Run. 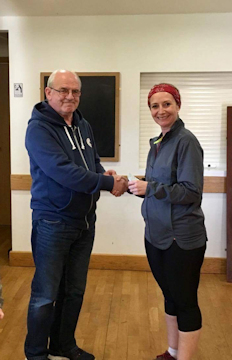 Adopting this Park Run a couple of times per year by the club, led by Anneke has further increased our profile considerably as is the resurrection of the Burn Valley Half Marathon in Masham and establishing links with the Masham local community. We have been based at Ripon Rugby Club since September 2014 and although the situation is not perfect we are mindful to engage as much as possible with the management of the Rugby Club to improve the current facilities – particularly the changing rooms and communications. We are actively leading and participating (with other sporting clubs in Ripon) in monitoring the development of the Army Barracks sites in Ripon for a potential Sports club development – this is obviously a long term aim but the example in Sowerby (Thirsk) does demonstrate what can be achieved. I am very keen to see our club expand its links with our wider community in Ripon and the immediate area and our recent charity donations show that we are mindful of other organisations that have either a personal connection to a club member (Ripon Food Bank) or such as the Swaledale Mountain Rescue and Yorkshire Air Ambulance, where due to our participation in many trail events, we are mindful of the emergency cover that we may need to rely on – hopefully not. I am proud to be Chair of Ripon Runners, it is a privilege to run with you and I am very lucky to be part of a very special group of supportive and friendly people. In spite of its name, Boggle being the local name for hobgoblins, we saw none. Even Ripon Runners on their annual weekend away could not entice them out of their caves. The Boggle Hole Youth Hostel, built within the shell of an old mill in the eponymous bay just South of Robin Hoods Bay, was our Saturday night refuge. What a quirky, quint and unusual place. No wonder it is so popular with families with its sea-faring relics and proximity to the narrowest of sea inlets. The rendezvous was a layby in the village of Newton on Rawcliffe where John and Mike P. had set up a stove for tea, bacon and veggie sausages. It was cold and drizzling when we arrived at the breakfast layby but the smell of frying soon lifted morale. Once set up for our 20 mile jog over the moors the group split between superfast and normal; first setting off for Levisham Station down a steep descent, which all realised would eventually have to be re-ascended! A steep uphill climb took us to the view point of Skelton Tower with majestic views of the North York Moors Railway in the valley of Pickering Beck. The escarpment route continued onto the main A169 which was crossed to access Saltergate Brow. Before continuing however more food and drink was consumed, courtesy of Mike Bray as well as Bully. This crossing point on the A169 has a famous view point which all admired. Famous because it looks out over the Hole of Horcum of which Chris attempted to explain the geology but his audience rapidly faded away enticed by cake and fruit! From there onwards your writer was as much in the navigational dark as his group but his one error near Fylingdales was rapidly corrected by the OS mapping and GPS on his iphone. Progress was slow due to the rocky and very muddy terrain that reduced us to walking pace but with the sun now dominating the weather reaching the high point of Lilla Cross seemed a worthwhile achievement. Not much is known about this ancient, Celtic styled cross but it sits atop a Bronze Age Barrow. It was a relief to reach the A171 on Jugger Howe Moor as more tea and food were on offer. The last leg to the hostel was first via a very muddy moorland track, then field paths before the last 2 miles of coastal path, part of the Cleveland Way. As we completed our day the sun was setting and the views from the cliff tops were magical although the mud was less so! The hostel was most welcoming with its own bar, a wood burning stove to warm by and a meal of quite reasonable standard. Sunday turned out to be probably the sunniest day we have had all April. The choice was between the costal path to Whitby or the cinder track of the old Whitby – Scarborough railway. However the day began with a paddle in the sea of Robin Hoods Bay as this provided the most direct route from Boggle Hole Hostel. There is a steep ascent of the village street to access the old train line but then onwards it was a wonderful jog along the cinder track finally crossing the famous viaduct over the River Esk into Whitby. Only two of the group undertook the costal route, Lisa and Mike with Lisa still trying to explain the deep scratch marks which appeared on her shoulder! Your medical officer was refused an inspection. Whitby beer, fish and chips lived up to all expectations so we were well set up for the steam train ride along the NYMR towards Pickering but alighting at Levisham. The steam train was so beguiling, as it trundled along at only 25mph, that the most cynical of the Ripon Runners were complete, heritage-rail converts by the time they reached Levisham. 1½ miles or so up the aforementioned steep bank returned us to Newton and the transport home. A huge thanks to Bully and Michael Bray, a new member, for all their support in providing food and drink as well as bag conveyance. Mile Pennock takes the credit for route planning and Tim for providing the PDF mapping. Thank you to you both. Where to next year? Any ideas to “Pennock/Bennett Running Weekends” but with the permission of the new Chair of course. Well I’m no longer Chair of Ripon Runners so this will be my last posting unless invited to contribute by the new Chair. It was gratifying to see so many of the membership attending the AGM, the most I’ve seen in all my years with Ripon Runners. Chris Bennett – immediate past Chair.